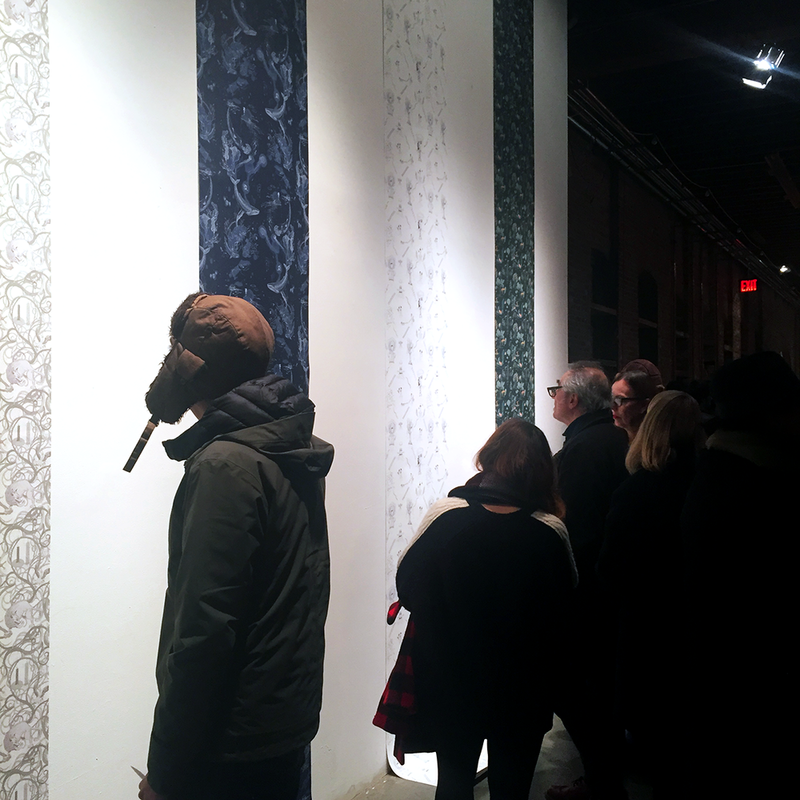 Installation of my wallpaper series at Pioneer Works Gallery. Project made possible with a grant from the Center for Faith and Work. 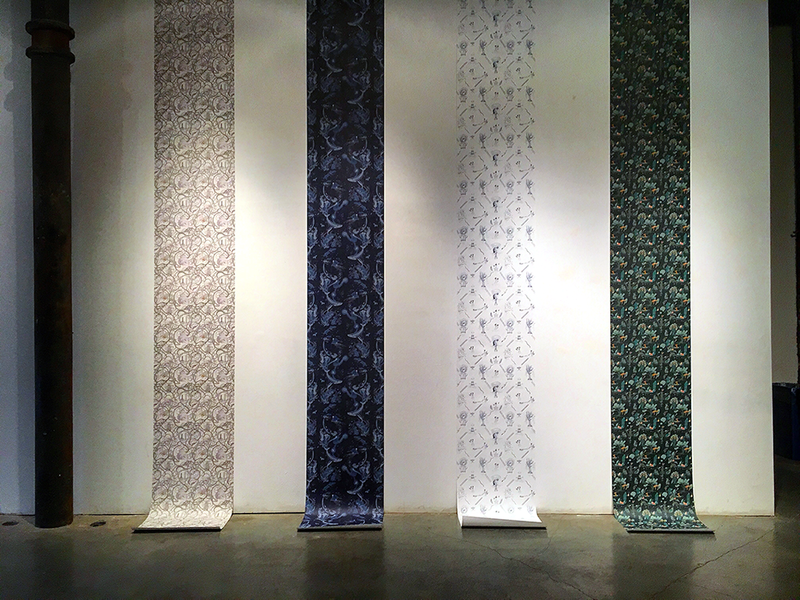 Repeating Patterns, uses the traditional medium of wallpaper to explore sinister and destructive systems in society, politics, the economy and the environment. Bringing these elements into a pattern implies their intimate connections and their repetition across time and place. Wallpaper typically functions as a protective membrane against ugliness and chaos. In this case, its decorative appearance is embedded with urgent portents. Garden references concerns like pesticide use, habitat loss, colony collapse, GMOs and monoculture. Seaway depicts some of the dangers facing the oceans, including eutrophication, supertrawlers, predator decline, and jellyfish population explosion. Freehold portrays social, educational, economic, and nutritional inequality and the ongoing legacy of colonialism. Thicket illustrates the world of politics with symbols of oppression, combativeness and deceit.